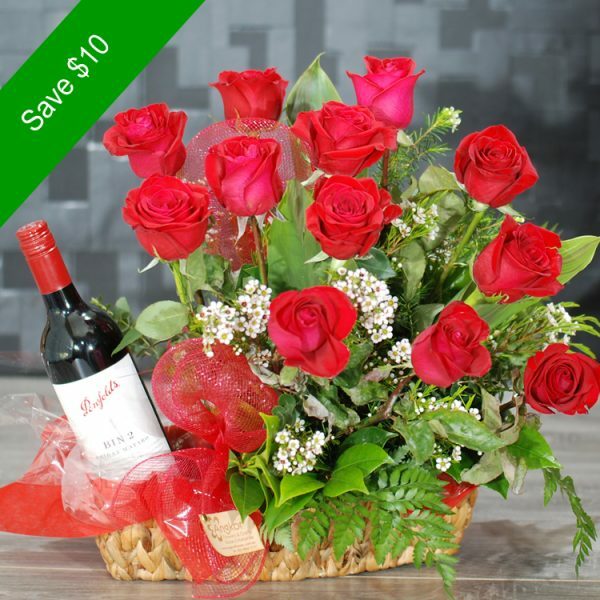 A beautiful and special gift………..
12 Premium Red Roses and Red Wine…. 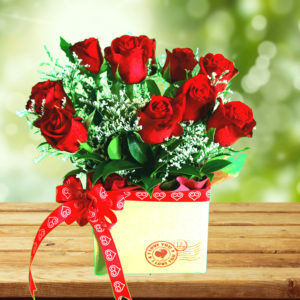 A hand arranged basket filled with 12 premium red roses complemented with vibrant greenery and trimmed with red netting. 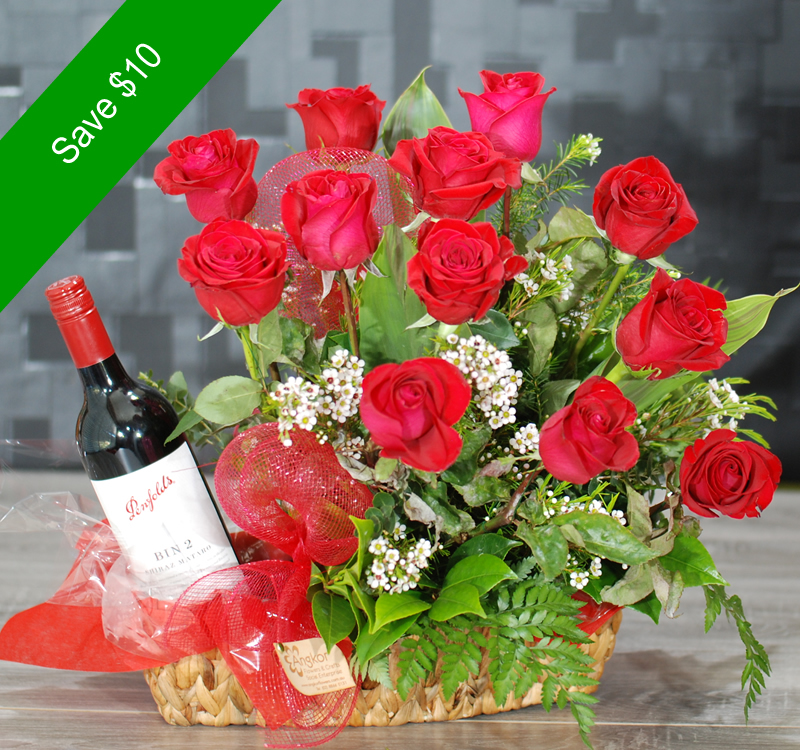 Add a beautiful box of chocolates or a bottle of wine for an extra Valentines Day treat. 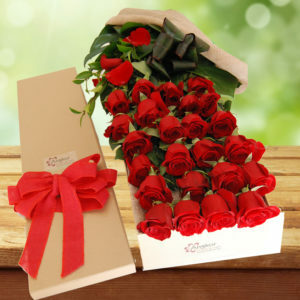 Roses are always a romantic gesture and a beautiful expression of your love. Free personal message card. 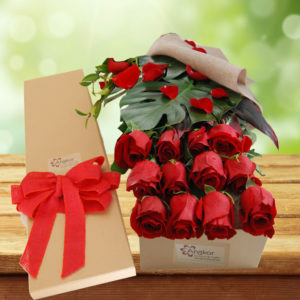 Send this stunning gift to your love one now by just simply fill in the order online or call for help on (02) 8866 0131. In case out of season or unavailable, we may substitute green foliage or baby flowers, but maintain main flowers, shape and colour as the design.